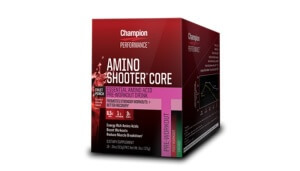 Get one of these free champion performance supplements while they are available. This is a sports and workout supplement that is sold in most GNC stores and has the nutrition and vitamins that you body needs to help with your workout. If you are looking to get into peak shape or just want the proper vitamins and minerals after a workout then you should try these samples. GNC is known for providing high quality supplements and I’m sure these are up to the standards of everything they keep in store. If you are a big fan of these supplements, be sure to stop in at your local GNC to see the pricing.